Within this section, you will find details of how the healthcare system in Latvia is set up and operates. Sign up for an IMTJ Country Subscription for access, or login if you're already a subscriber. Within this section, you will find details of how state and privately funded health insurance in Latvia work. Sign up for an IMTJ Country Subscription for access, or login if you're already a subscriber. Within this section, you will find information on medical tourism numbers, our estimate of inbound and outbound medical tourists (where they can be reliably ascertained) and news that provides estimates of medical tourism activity in Latvia. Sign up for an IMTJ Country Subscription for access, or login if you're already a subscriber. Find hospitals and clinics, agents and facilitators, services and other organisations operating in the medical travel industry that are based in Latvia. 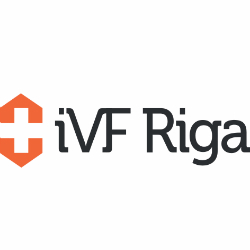 iVF Riga is a first-choice clinic for infertility treatment and reproductive genetics. It is headed by Violeta Fodina, a renowned expert in the field of reproduction. iVF Riga clinic offers a unique centre for reproductive genetics as well as the first official and the largest bank of genetic material in the Baltic countries. Clinic EGV is a leading reproductive health and infertility clinic in Riga, Latvia. The Clinic is staffed by experienced physicians, all of whom are members of international reproductive health professional associations, and has ISO 9001 quality certification.